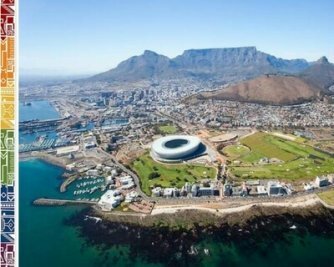 World Travel Market (WTM) Africa, launched in Cape Town last May, takes place again in 2019 from 10 to 12 April. The trade show for travel professionals and only B2B exhibition for inbound and outbound Africa travel is part of the Africa Travel Week and will be held again at the Cape Town International Convention Centre (CTICC). The leading B2B exhibition for Africa’s travel industry is the leading travel show event has grown tremendously and now is getting even bigger and better. From 10 April, the exhibiting companies will be ready to bring the world to Africa and promote Africa to the world’s leading source markets. Travel professionals can expect to choose from over 700 exhibiting companies with whom to do business, interact with likeminded individuals from over 60+ countries around the globe including other parts of Africa, attend debates and seminars and listen to topical and beneficial talks from a vast array of speakers covering to-the-point topics that have a direct impact on the business of travel. Designed to offer something for everyone, the tourism and travel event will showcase a diverse range of product and deliver the right business contacts in a fresh new environment. Visitors will find a superb assortment of products and services on the show floor as well as a number of exciting events, topical education sessions, industry insights and networking opportunities. In 2018, WTMAfrica introduced a special festivals programme which offers stand-holders the opportunity to showcase their unique culture, music and cuisine to the delegates to entice them even more. WTM Africa provides a key industry platform that offers all travel industry professionals the chance to engage in real value business conversations, meet new contacts, exchange ideas, share best practice and learn and network in an positive and inspiring environment. More than 5,000 travel experts attended the 2018 show. Carol Weaving, MD of Theebe Reed Exhibitions, had previously stated: 'We are providing a holistic travel and tourism show that benefits all travel professionals from a wide variation of focus and this is exciting. One venue, three days and great value for money! Why wouldn’t you be there? During the last years, the buyers came from over 60 countries and many were fully hosted by the organisers of WTM Africa, ILTM Africa, and IBTM Africa. Catering for both inbound and outbound markets, WTM Africa is open to all those involved in the travel industry. To find out more about WTM Africa and to take part visit www.wtmafrica.com and register to attend. This African travel expo is the leading global event for the travel industry and the must-attend business-to-business exhibition in Southern Africa for the worldwide travel and tourism industry. WTM London launched the first World Travel Market Africa show in 2014 and has grown markedly to provide insights into world travel trends also in 2019. WTM Africa attracts exhibitors from all categories of the leisure travel industry within sub-Sahara Africa as well as North African destination. WTM Africa aligns itself with sister events; WTM, WTM Latin America, Arabian Travel Market and International French Travel Market Top Resa. 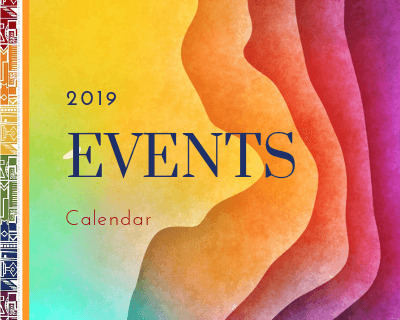 WTM is owned by the world’s leading events organiser Reed Exhibitions (RE), which organises a portfolio of other travel industry events including World Travel Market Latin America, Arabian Travel Market and International Luxury Travel Market.